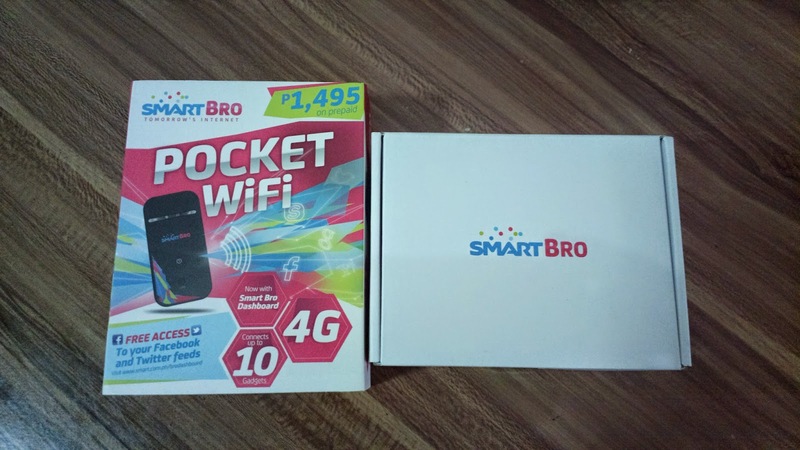 In lieu of an upcoming trip where I anticipate not always getting free WiFi, we stumbled upon the Pocket WiFi from Smart as a possible solution to this concern. Problem is, although I've successfully tried several online shopping sites already, I had no idea how the Smart Online Store works. But oh well, I went through the process anyway. We chose a specific type of Pocket WiFi (prepaid, quite basic actually) and proceeded with the payment. The page asked for login information. It should have been easier since the page merely asked for an email of mobile number. Bingo! My husband supposedly has an account. He can't recall the password though and even after initiating a password reset, there was no confirmation email sent. So I ended up registering my own email instead. Problem is, after receiving a confirmation email (which included a payment reference number) dated April 9, nothing shows on the Order Status section of my account. This made me wonder because most online stores I've tried allows order tracking with real time updates. So I sent a support ticket on the same day I ordered to ask why. Smart replied 2 days after (April 11). I responded immediately and provided verification information as well as other details they require. They emailed back the following day (April 12) and supposedly forwarded the issue to yet another support group? The ticket had been updated 3 days after though (April 15) and mentioned that my order is being processed. Yes! "Your Smart Online Store order has been approved and the package is already for delivery. 5 - 10 business days for areas outside of Metro Manila." Thank you for purchasing in Smart Online Store. Please refer to the list below for your transactions. I wasn't bothered by the advance date though. I just assumed that it will be billed the following day using the payment option I entered. But based on the billing statement sent April 16, Smart Communications debited the payment on April 15. The item was also delivered at home on the 15th. 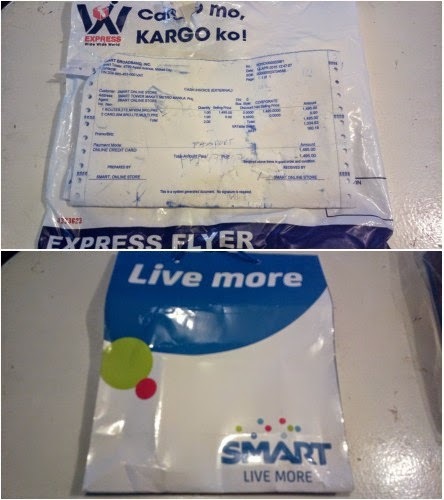 The item was inside the Smart bag and was packed in an express delivery plastic. All in all, the entire process from ordering online until actual delivery almost took a week. But there's still no order status showing under my account on their website. You can only pay through VISA, MasterCard, and BancNet. There is no Cash on Delivery option which I conveniently prefer for online shopping. This way, I will only pay once the item is delivered through my door step. Shopping through the Smart Store online is a pleasurable experience except for the fact that there is no real time order tracking system. There is also no COD payment option. I hope considers those options.